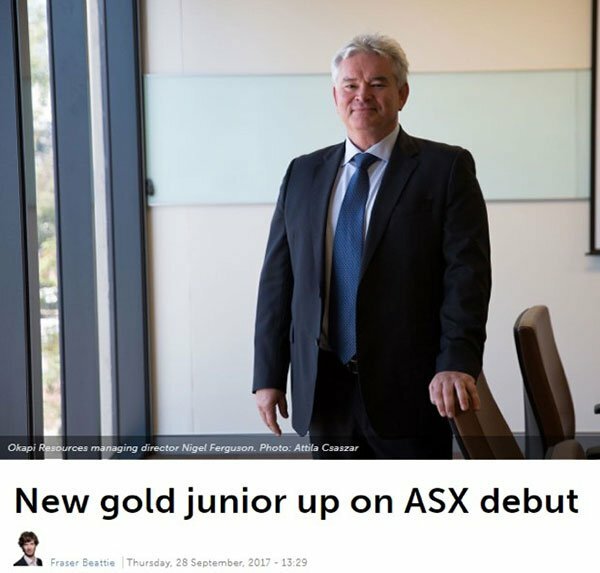 Today’s ASX polymetallic junior boasts a meticulously selected commodity spread, a heavyweight board armed with serious industry muscle, and plenty of scope for future growth. This small-cap explorer is looking for a metals mix that’s both classical and future-focused: mostly gold, but with a healthy dose of cobalt and copper thrown into the mix. It has in its grasp a portfolio of highly prospective early-stage projects in largely underexplored areas in resource-rich Africa and Western Australia’s prestigious Kimberley region. Firstly, there’s its joint venture Mambasa Gold Project, in the prolific Tanzanian mineral fields, where more than 100 million ounces of gold have been defined over the last decade. Intriguingly, Mambasa bears a number of similarities to other large gold and mineral deposits in the region, including A$4.85 billion-capped AngloGold Ashanti’s (ASX:AGG) 20 million ounce Geita mine, Loncor Resources Inc’s (TSE:LN) 1 million ounce Makapela project, and Kilo Goldmines’ (TSX:KGL) 1.9 million ounce Abumbi project. An aggressive exploration program is in place to rapidly drill test the project and gauge its potential. Initial mapping and soil sampling was recently completed with 977 samples collected. Assays have produced encouraging results of up to 0.93 grams per tonne gold. A follow up Phase 2 program is currently being planned for the June 2018 quarter, with the possibility of scout diamond drilling. 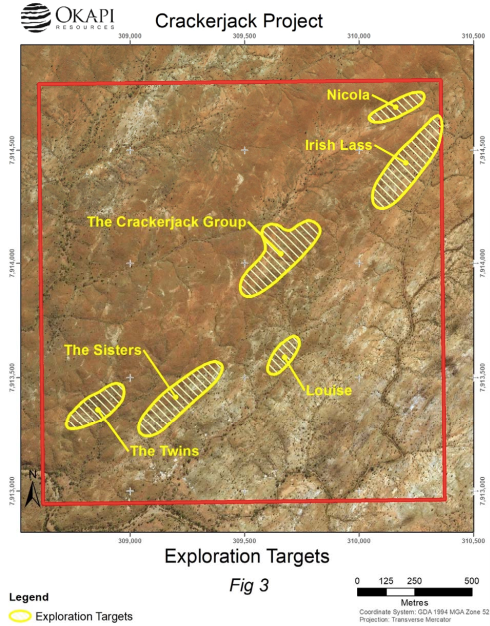 Also in this company’s gold-emblazoned arsenal is its Crackerjack Gold Project, which sits near Halls Creek in the historical Kimberly Goldfields: the site of WA’s first gold discovery. 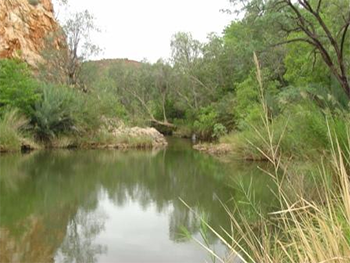 Crackerjack is in a good neighbourhood, located 3.5 kilometres south of the historical Mount Dockrell mine. Under-explored in modern terms with very limited exploration drilling completed since the 1980s, today’s company is in many ways paving its own way here. Assay results from sampling reveal strong indications of gold mineralisation and considerable upside potential on hand. Initial mapping plus stream sediment and rock chip sampling is complete, with results between 0.68 and 18.3 grams per tonne of gold returned. It should be noted here that the company is an early stage play and investors should seek professional financial advice if considering this stock for their portfolio. That’s the gold side of the story. But with a keen eye on the electric vehicle powered future, this company has made a strategic addition to its portfolio, astutely clinching a cobalt-copper play in Africa’s Katanga Copper Belt via a farm-in agreement. This Katanga Cobalt-Copper Project comprises three licences: Tenke, Ntondo and Luisha. A technical due diligence program is currently underway with field mapping and sampling at Tenke and Luisha, as well as logistical assessment on Ntondo. This program of works has seen multiple positive indicators, including identifying undiscovered copper mineralisation in highly prospective rocks of the Roan Group. Roan Group sediments host world-class copper-cobalt deposits, including the world-class Tenke Fungurume copper-cobalt mine just 50 kilometres to the east of the Katanga Project. All in all, this aspiring explorer is off to a sturdy start, making strong strides progressing its diverse portfolio since making its ASX debut in September last year. 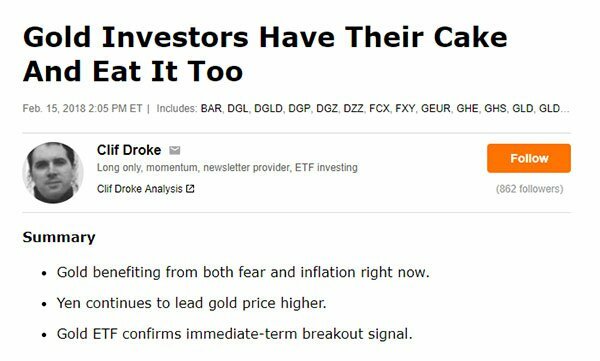 Timing, moreover, could scarcely be more apt, given that the gold price has now climbed to over US$1340 after recovering from its late-2015 lows and the cobalt price continues to rise. This company clearly has its polymetallic strategy down pat. With focused exploration plans underway and more to come as it completes due diligence at Katanga, this company is wasting no time. Emerging explorer Okapi Resources (ASX:OKR) has a simple but high-impact growth strategy: maximise shareholder value by aggressively pursuing a triad of high-performing metals in carefully selected locations. It’s focused on the discovery and commercialisation of gold, copper and cobalt deposits in Africa and Western Australia, and has selected projects with historical workings and excellent results in mind. This is only the beginning of OKR’s polymetallic pursuits, as a key part of its growth strategy is securing further exploration and development opportunities within richly mineralised districts. This is a story all about growth potential. If OKR can find something substantial in the highly prospective yet underexplored ground at its projects in Africa and Western Australia, OKR could see considerable upside, making this tiny $13.9 million stock an astute entry point into the booming polymetallic exploration corridor. With cash reserves of $4 million, alongside $1.5 million raised via a recent placement, OKR is also in a solid cash position to move fast. It’s set to plunge headfirst into a series of exploration works across its African and Western Australian projects in the months to come and its being led by what some would describe as mining dream team. Lending this emerging explorer serious credibility is a pair of hard-hitting industry names with extensive experience in these regions. Eckhof has more than 20 years under his belt identifying, exploring and developing mineral deposits around the world. He’s been particularly successful in developing gold projects in Australia and overseas. Especially noteworthy is Eckhof’s golden track record at Moto. After founding Moto Goldmines in 2003, Moto, under Eckhof’s stewardship, went on to delineate more than 20 million ounces of gold at the African Moto Gold Project, delivering a feasibility study within four years from the first throes of exploration. That project was subsequently acquired for around US$500 million by the $5.6 billion capped Randgold Resources (LON:RRS), which poured first gold in 2013. The Resource now stands at some 22 million ounces of gold. 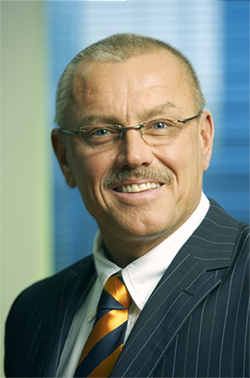 Eckhof also worked for Mount Edon Gold Mines Ltd as Business Development Manager before it was acquired by the Canadian Teck Resources (TSX:TECK|NYSE: TECK). In 1994, Eckhof founded Spinifex Gold (ASX:SPX1) and Lafayette Mining (ASX:LAF), both of which successfully delineated gold and base metal deposits. He’s also director of Burey Gold and Carnavale Resources (ASX:CAV), and has at his disposal an expansive network of industry contacts – including many in Africa — this will give OKR sharp leverage as it moves forward. In short, to call this mining veteran prolific would be an understatement. Ferguson is a geologist with more than three decades’ experience in gold and base metals exploration, resource definition and feasibility studies on a global level, with a focus on Africa. Having held senior management positions for nearly a decade, Ferguson has cultivated a razor-sharp reputation for developing resources expediently from exploration to commercialisation. Ferguson served as CEO of Condor Gold PLC (LSE:CNR) between 2003 and 2008, where he secured and developed gold projects. He’s also been on the boards of Burey Gold Ltd, African Metals Corp and Samba Minerals Limited and was country manager for Ashanti Goldfields (now AngloGold Ashanti), and was instrumental in acquiring the multi-million-ounce Geita Gold Project. These two industry stalwarts would provide a major vote of confidence for investors. 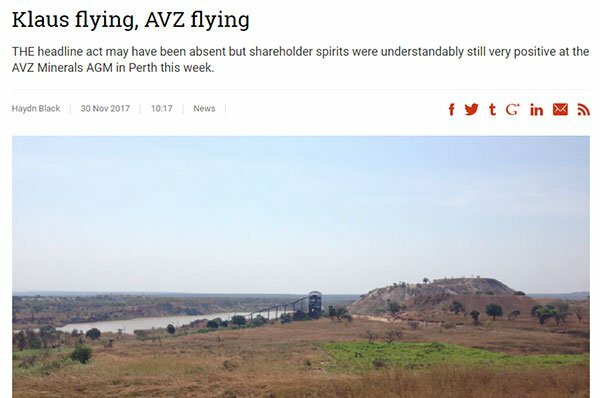 Both are also onboard AVZ Minerals (ASX:AVZ), whose shareholders have been reaping some serious rewards over the past year with the share price surging some 600%. It’s worth noting that AVZ is capped at $446.1 million. OKR is currently valued by the market at $15.5 million, and it’s only just getting started. OKR has a JV agreement to acquire up to 70% of the Mambasa Gold Project. It is situated within the Mambasa Greenstone Belt, in the Ituri district of the Kilo-Moto goldfields in north-east Democratic Republic of Congo (DRC) — a highly prospective regional scale series of greenstone belts that host numerous world-class deposits such as Randgold’s 20 million ounce Kibali Gold Project. 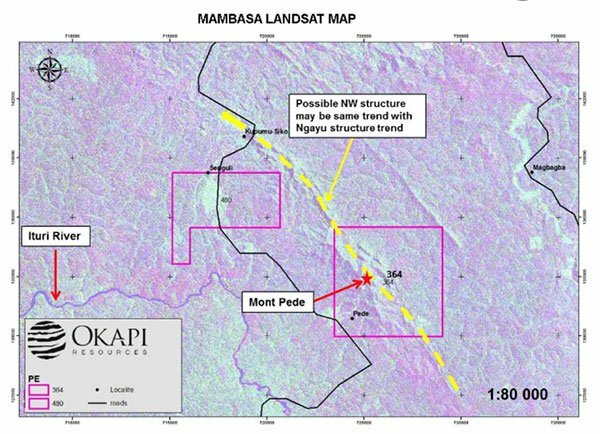 Mambasa comprises two granted licences, which were targeted due to the area’s impressive exploration potential within favourable stratigraphic and structural settings, similar to other large-scale gold deposits within the region. These include AngloGold Ashanti's Geita mine (20 million ounces), Loncor’s Makapela (1 millon ounce) and Kilo Goldmines’ Adumbi (1.3 million ounces) gold projects. Mambasa contains several historical colonial gold workings and current artisanal gold workings over 600 metres length and 25 metres in depth. There’s little in the way of detailed information available on previous exploration, so OKR will largely be starting afresh. OKR sees potential for Mambasa to host significant economic gold mineralisation, meriting further exploration work. A total of 997 samples were collected during the March quarter, with first assays now in and showing encouraging results of up to 0.93 g/t Au returned from soil sampling. The big news from these results is the identification of the mineralised north-west regional trend that is a geological backdrop for deposits such as AngloGold Ashanti’s Geita Mine and Randgold’s Kibali Mine. An initial exploration program on the licence PE480 is also in planning. 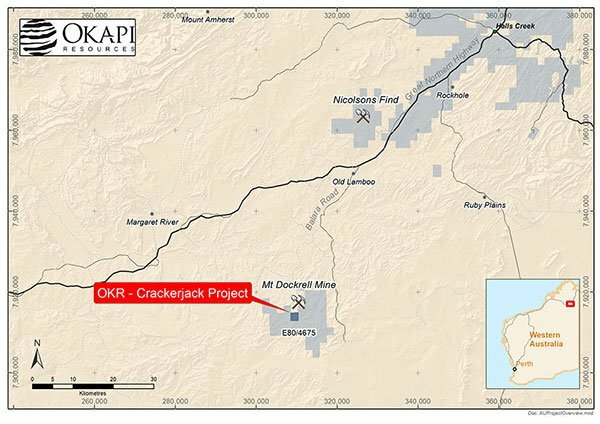 OKR’s Crackerjack Project is located some 90 kilometres south-west of Halls Creek in the renowned Kimberley district of WA. 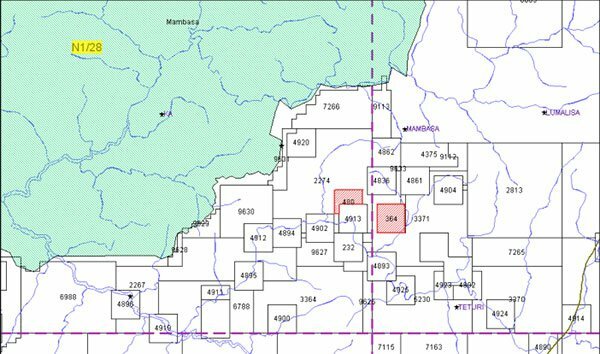 It’s just south of the historic Mt Dockrell mine and close to other known gold and mineral occurrences and noteworthy high-grade drill intersections. The Mount Dockrell area has successfully been worked for alluvial gold and hard rock gold for decades. OKR’s tenements are close to pre-existing mining infrastructure, with easy access from Broome to Halls Creek and onto the licence area. This will make for a cheaper, quicker mining operation, should OKR progress to that stage. There are over two kilometres strike of historic workings on the prospective upper Biscay Formation, with historic high-grade production from the Crackerjack, Erin go Bragh, Irish Lass, Carols and Crackerjack South prospects. The nearest comparable project is the Palm Springs Resource, which contains 120,000 ounces at 2.1 grams per tonne of gold. On top of that, the Mt Dockrell mine lies along strike — in fact, structural mapping suggests that the main structures hosting the Mt Dockrell gold mineralisation continue towards Crackerjack. The geological setting of the Crackerjack deposits also shares similarities with the Saddle Reef and Bedded Leg Reef deposits of the Bendigo goldfields, which hosts relatively small but very rich gold deposits averaging around 15 grams per tonne of gold. Progress so far at Crackerjack has been promising. 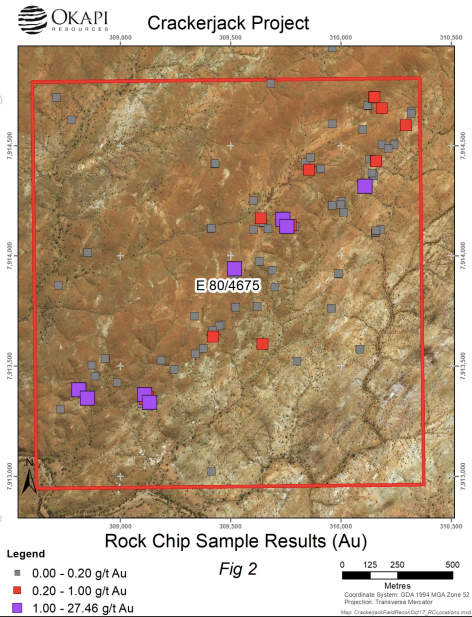 Initial mapping and stream sediment and rock chip sampling was completed last year and all assay results now received, with strong indications of gold mineralisation. Rock chip, channel samples and grab samples returned best results between 0.68 grams per tonne and 18.3 grams per tonne of gold. A new mineralised zone has also been discovered, with results of 18.3 and 9.7 grams per tonne of gold. The project has considerable exploration potential as several of the surface samples that returned economic grades of gold correlate with historic drilling, suggesting the presence of larger gold systems than previously expected. Overall, OKR has some encouraging prospects here, with initial results pointing in the direction of gold mineralisation. If it can pinpoint some salient targets through additional exploration work, it might just be on the money. 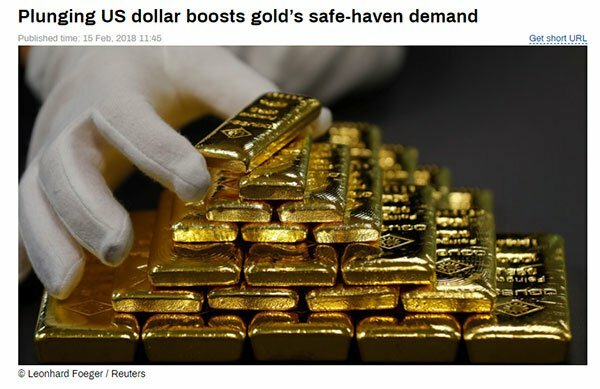 Stock market volatility, a flailing US dollar, and the possibility of war between the US and North Korea, have seen a surge in gold prices, as investors turn to the precious metal as a safe haven. And the rally doesn’t appear to be over yet. Analysts are predicting gold to hit US$1,450/oz by year-end — a level not seen since May 2013. Of course commodity prices do fluctuate, so investors should take a cautious approach to their investment decision and not base their decision on stock prices alone. All of this bodes nicely for OKR, with its projects in two notably gold-encrusted locations: WA’s historic Kimberley goldfields and the Tanzanian mineral fields. OKR has snapped up these licences in part because of their close proximity to a host of discoveries and activity. The area immediately surrounding the Tenke prospect contains many deposits renowned for copper and cobalt. These include the Fwaulu, Kansalawile, Kwatebala, Pumpi and Mambilimba deposits, not to mention the world-class Tenke Fungurume mine, which hosts one of the world’s largest known copper-cobalt deposits — an Indicated Resource of 680Mt at 2.5% copper and 0.3% cobalt. In 2013, the mine was producing some 50,000 tonnes of copper cathode and 3,048 tonnes of cobalt hydroxide per year. A bird’s eye view of the mine, which sits 50 kilometres to the east of the Katanga Project. Intriguingly, the Tenke Fungurume mine is also hosted in rocks from the Roan Group — rocks widely recognised to host world-class copper-cobalt deposits. These types of rocks, especially the dolomites, are susceptible to brittle fracture and are very chemically receptive to mineral precipitation and enrichment. So far, OKR’s technical due diligence program here has consisted of field mapping and sampling on the Tenke and Luisha projects and logistical assessment on Ntondo. This early work has yielded some positive indicators. Encouraging mapping results have identified Roan and Kundulungu Group sediments in the project areas. Kundulungu provides the geological setting of the Kamoa-Kakula deposit — the world’s largest, undeveloped, high-grade copper discovery, and one of the four largest copper deposits in the world. Further mapping and sampling work has been prioritised to better detail the faulted contact identified between the Roan and Kundulungu Group. 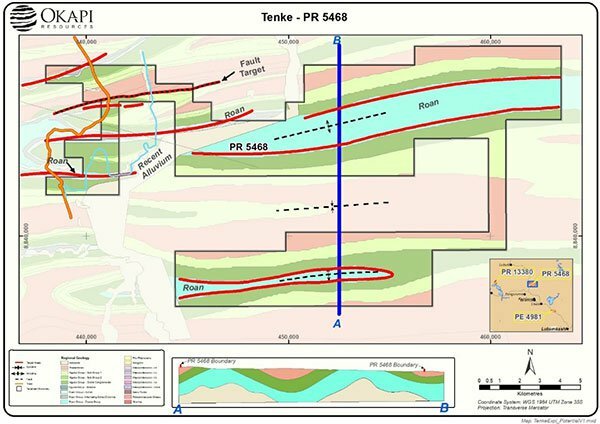 Outcrop sampling has also been undertaken at the Tenke project from the areas of newly discovered copper mineralisation. Below, you can see a map of the Tenke geology, showing priority target areas. Mapping has also identified new areas of copper mineralisation at the Luisha and Tenke properties. 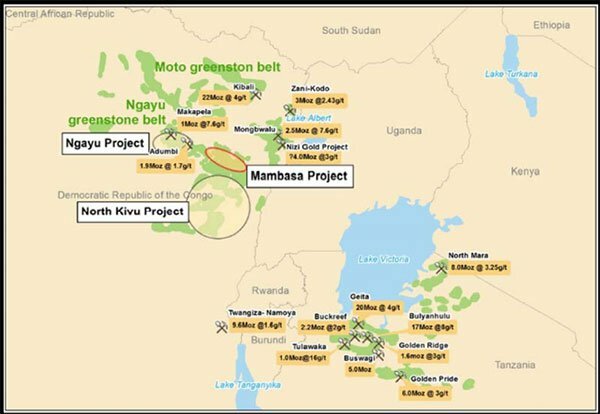 The Luisha licence is three kilometres east of African Metals’ (TSX:AFR) Luisha South Mine and northwest of Tiger Resources’ Kipoi Deposit, both of which contain substantial Resources. OKR has conducted sampling to validate work conducted at Luisha by the project owner, Rubaco SARL (the 100% owned subsidiary of Rubamin FZC), with results pending. Logistics assessment for the Ntondo project is also now completed. Field work at Ntondo was restricted to infrastructure mapping and logistics, but further activity is being planned for after the wet season. As we move towards a greener, increasingly high-tech future, we become more dependent on a clean tech metals mix, including copper, cobalt, zinc and lithium. The global EV battery market is set to grow at a compound annual growth rate (CAGR) of 41.95% between 2017 and 2021. A crucial ingredient in lithium-ion batteries that power millions of smartphones as well as plug-in electric cars, cobalt is in especially heavy demand. About half of all cobalt produced is used to produce the batteries that power electronics and electric cars. The rising demand for cobalt, has fuelled a dramatic increase in the metal's price. Cobalt prices on the London Metals Exchange (LME) more than doubled in 2017, and rose to a record high early this year. What does all of this mean for OKR? With a diversified commodity portfolio that strategically includes a high-potential cobalt-copper play, OKR could well emerge as an early mover in this battery technology boom. All the essential elements are in place: OKR has assembled all the right people in some of the most promising gold, copper and cobalt districts in the world. With its high-calibre Board, a focus on chasing highly sought after commodities in largely underexplored areas, not to mention its strong cash position, the OKR story is all about future upside growth. Though it does remain a speculative stock and investors should seek professional financial advice if considering this stock for their portfolio. Capped at a tiny $14.4 million, these are early days for this emerging polymetallic explorer. 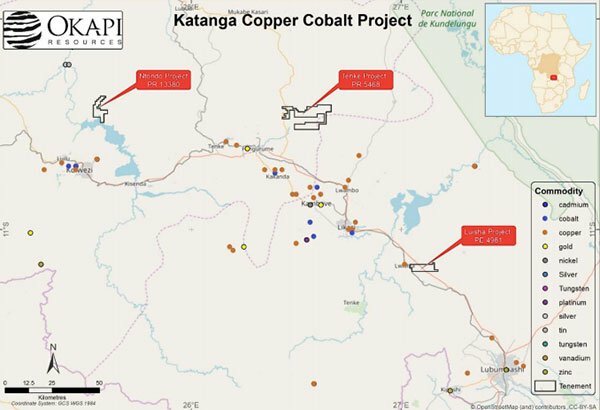 A series of exploration works is set to heat up across its African and Australian projects in coming weeks, including due diligence at Katanga Copper-Cobalt Project. Needless to say, we’ll be keeping our eyes peeled.